Beautiful from the Lake-view to the top of the house. 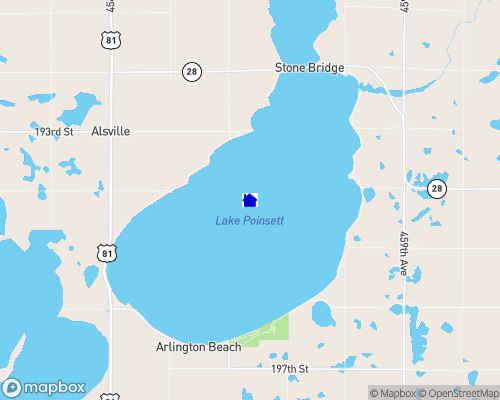 Family friendly and one of the largest lakes in the state, Lake Poinsett was named after Joel Poinsett who served as U.S. Secretary of War. He was instrumental in promoting the expedition of Joseph Nicollet and John Fremont who first explored the region in 1838. The party camped on the north side of Lake Poinsett. Today, the lakeshore still provides excellent camping opportunities, as well as many other recreational activities.